All of them have happened…finally! 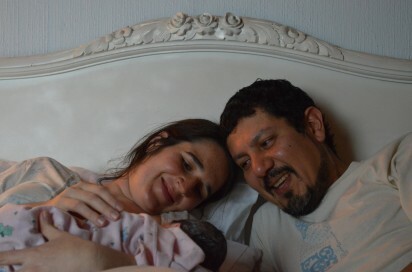 Samira two and a half weeks early, Elizabeth too fast even to remember, Teresa as beautiful as the last time, Lesvia ever so determined, Auri also fast and furious and Edith so patient, cooperative and hard working that we actually got this 8 and a half pound boy out in the end!!! The girls (interns) were amazing and still are. Our next client already chose Becky for her doula and Edith says she would never have given birth if it were not for Ivy. Now, there will be nights I know nobody will call me for a birth. Nights I could theoretically turn off the phone. Nights, when I can have a glass of wine, stay out late… for the next two weeks!